China is a vast country and it has grown as the world's second largest economic power. Its efficiency of transport provides great convenience for your China trip, you can travel this beautiful country by air, high-speed rail, train, cruise ship, bus, coach, car, bike and subway. We've designed a bunch of feasible China tour itineraries based on different vehicles in below, you can chose your favorite tour package according to your time and budget. Tour China by air is convenient and swift. At present, the country has more than 20 airlines and more than 260 commercial airports. Travel China by airplane can save a lot of time and ensure you can visit destinations as many as possible. 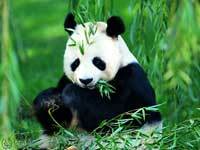 All our China tours by air with domestic airare and every thing is worry-free on your trip. China is mecca of fast efficient high-speed train networks that link all major cities and tourist regions. Chinese high-speed trains are fast, reliable and frequent. If a trip to China is on your bucket list, we would encourage you to consider taking high-speed train tours in China. All China's provinces, autonomous regions and municipalities are well-connnected by the train system. If you have a flexible schedule and want to save a few bucks, you can try travelling by train instead of airplane. Much of China train travel is about efficiency and comfort-punctually leaving and arriving and having a cozy seat or sleeper compartment. Travelling by train in China is truly an unforgettable local experience. The biggest advantage of this means of transportation is the reasonable price and safty. The fare is 1/5-1/10 of airplane's and only slightly more expensive than bus. Rustic as it is, the train goes along or even through villages, mountains, forests, plains, prairies, highlands, valleys and even ocean, which helps you enjoy China's authentic natural vista. Moreover, tour China by train is an interesting way to make friends with local and have a closer view about their daily life. Your travelling fellows come from every part of the society: sudents, workers, small business owers, and of course you will have chances to talk to them than when you travel on air.